Please click on a toastmaster's name or picture to read more, ordered by joining date. If you want the best reactions from your guests and to be pampered on your special day, Richard is the man for you. 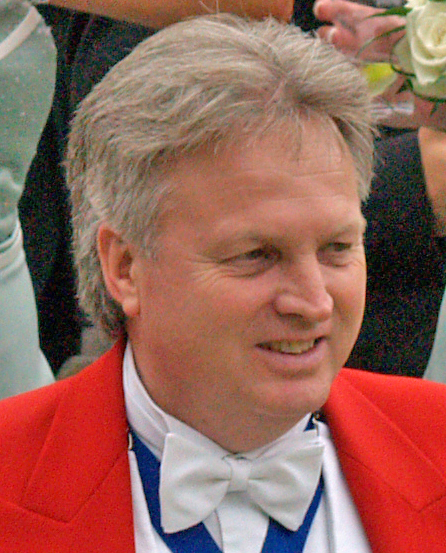 Richard was a Wedding Industry Regional Finalist for the special touches category in 2008 as a toastmaster and one of the three national finalists in the entertainments category. The awards are for recognising excellence within the wedding industry. Please visit www.thetoastmaster.co.uk for more details. 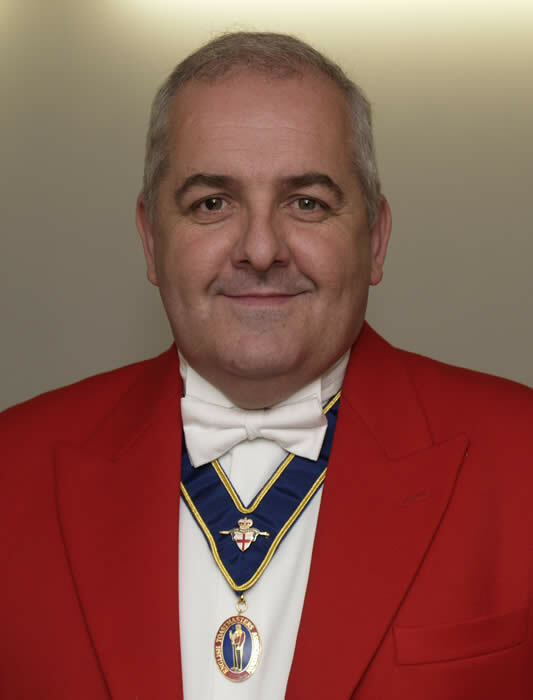 Richard is a highly client focused toastmaster, which means that if you are a bride and are looking for a toastmaster to make you feel really special on your wedding day, he will be the the right choice for you. A Founder Member of the English Toastmasters Association, Russell, who lives in Suffolk, England, UK, has the skills and know-how to work with you to ensure that your function is meticulously planned and executed. Russell is a professional and experienced Toastmaster who will assist with the smooth running and coordination of your function to ensure that everyone has a relaxed and enjoyable day. Russell is an expert in Weddings, Masonic Events and Corporate Functions. Whatever your specific needs, Russell will be happy to discuss your requirements. 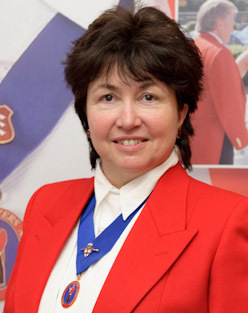 Terry lives in Poole, Dorset, England, UK, and will travel across the South West region of England to be your toastmaster/master of ceremonies, as far as Devon and Cornwall in the West, and Sussex in the East. A new modern breed of toastmaster is evolving, encompassing traditional protocols and etiquette, with a more modern personal level of service and attention to clients. Terry is proud to be part of this evolution and is confident you will be very pleasantly surprised. Roy lives in Bicester, Oxfordshire, England, UK and will be pleased to look after your every need whatever type of function you are having. Roy will add that extra touch of class and with a smile to make you feel good, will have all your guests enjoying your event and being made to feel special. Roy will ensure your special day runs smoothly and is enjoyed by all, relieving you of any pressures, knowing that your event is in experienced and capable hands. If you are holding a Ladies Festival and need a toastmaster who sings the Ladies song, Look no further, Roy will be the right choice for you. 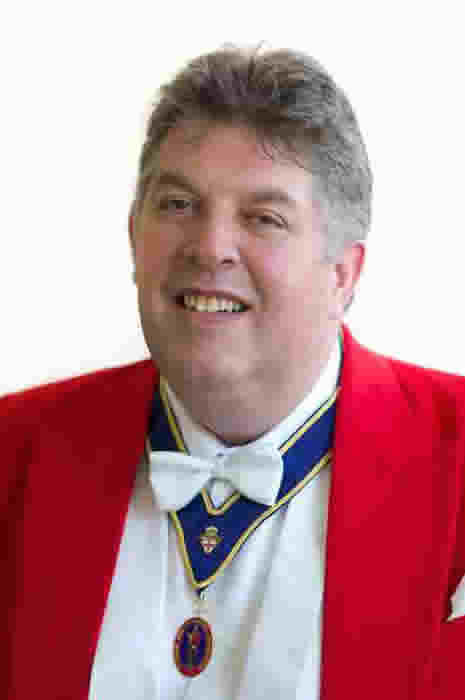 Andrew is based in Poole, Dorset, UK and is our first toastmaster to reside in this county. Andrew would be pleased to travel anywhere to officiate at your wedding, corporate function or special event. Andrew has over eight years worth of experience working with clients in various forms. With his customer service and managerial skills, you a can expect the recieve the highest level of care and attention throughout the planning and preparation for your day / function to ensure that it runs smoothly and exactly as you wish. Andrew is sure to enhance any occasion with his expertise and professionalism. When you choose Andrew as your toastmaster, you can be certain you are in safe and capable hands. Andrew is also a professional, freelance organist and accompanist and has had the opportunity to play in numerous churches and cathedrals throughout the UK and Europe and is available for organ recitals, concerts, weddings and other church services. Please visit www.andrewwest.net for further details. Stephen lives in Stambourne, Essex, UK and is a professional toastmaster with a modern approach combined with traditional values As your wedding toastmaster Stephen will add a touch of elegance and formality to your special day. Stephen will be pleased to assist you with your planning and preparation and is on hand to advise you on all aspects of etiquette and protocol. You can be assured Stephen will take care of you and your guests with exact attention to detail. If you are looking to add a touch of tradition to your occasion Stephen's services are available for allr different types of functions and events which includes weddings. With over 30 years experience in event planning, management, marketing and entertainment Roger is well suited to make sure that your event is as stress free and as well organised as it can be. Roger can guide you through all the formalities and by using his event planning experience will make sure that your event runs smoothly and professionally leaving you to actually enjoy your event and not have to worry about who is doing what. Roger treats every function as a one off ‘Special’ which guarantees you an exceptional service with excellent advice presented in a professional manner. Whilst steeped in tradition, Roger also brings a fresh, modern approach to customer service and can easily adapt to suit your requirements. Roger is based in the beautiful county of Somerset, but is more than happy to travel throughout the UK & Ireland. He will also undertake International work as well and is happy to perform his duties to people of all cultures who want to add that something ‘Extra Special’ to their event. Whether it is a wedding, corporate event an international conference or any of the endless list of events that can use the services of a Toastmaster or Master of Ceremonies, you can be assured of an excellent, professional, flexible and friendly service. A member of the English Toastmasters Association, Tim has been trained to the high standards expected by clients who are seeking a Toastmaster or Master of Ceremonies. You can put your trust in him as he makes your important day, one to remember. He carries out his duties with dedication, zeal and a charming sense of humour that will delight you. Living in Chester means he is available in Cheshire, Liverpool, Wirral and North Wales. Having been trained by the English Toastmasters Association, you can be assured that you will be getting a professional and competent Toastmaster and Master of Ceremonies to give you the experience of a lifetime. My planning, organisational skills and attention to detail are first class and will be utilised to ensure that your event runs as smoothly as possible allowing you to relax and enjoy your special occasion stress free. Whatever your event, I will take the weight and worry from your shoulders by ensuring that your guests are in the right place at the right time and that everything runs according to your wishes. My aim is to always exceed your expectations in everything that I do. You can therefore rest assured that your dignitaries and guests will be afforded the utmost level of courtesy and respect that they rightfully deserve. Events that I would be pleased to attend for you include Wedding Services, Civil Ceremonies, Masonic Ladies Festivals, Military Functions, Rotary and Round Table Events, Banquets, Awards and Presentation Ceremonies, Charity and Fund Raising Events, Corporate Dinners and Functions etc. For more details about my professional services, please telephone or e-mail and I would be delighted to discuss your requirements with you. Vincent is a kind and friendly toastmaster with a sense of style and panache. Vincent lives and works in Italy so is the perfect choice if you getting married abroad. Speaking fluent Italian, French and English may be useful if you are bringing guests in and want them to be made to feel at home. Vincent will make a difference to your wedding day or special occasion wherever it may be. He is well equipped to look after your every need. Partrick and Richard Stevenson are twins, and are the great, great grandsons of William Knightsmith, the very first toastmaster to wear the red tail coat in London in 1894. Both Richard and Patrick have been very kind to our Association with help relating to the history of toastmasters from the very first time that the red tail coat was worn. Patrick was the first person to be offered an honorary membership into our Association for all his help, kindness and encouragement. The English Toastmasters Association are very privileged to have a huge amount of information about the history of our profession thanks to both Richard and Patrick. Patrick is pleased to offer talks about William Knightsmith and the history of toastmasters. Harish is a credit to videographers everywhere, in the way that he works and relates to his clients and other wedding professionals that he works with. He runs a network lunch for colleagues in the business on a regular basis in the north London area. Harish has been a great help to the English Toastmasters Association and works very closely with us to help us find out more about building relationships when working with videographers and other wedding professionals.